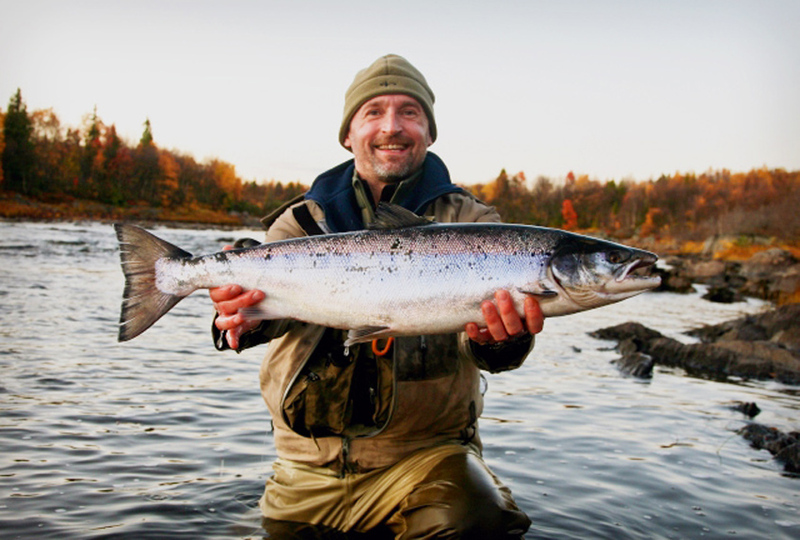 Chavanga Fish Blog: Best season of salmon fishing. Chavanga autumn. Best season of salmon fishing. Chavanga autumn. 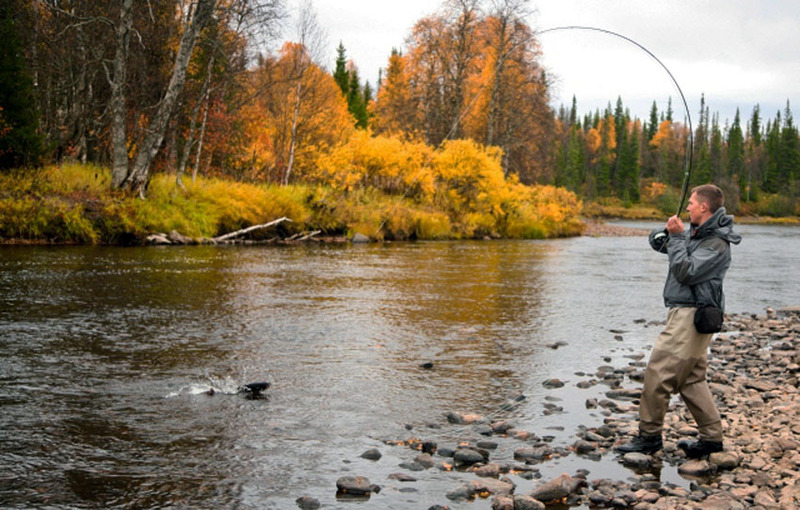 The autumn is considered one of the most interesting periods in catching of a salmon. The autumn is characterised by two main lines. The First - in the middle of September begins spawning of a salmon. The second - new mass lifting of a sea salmon begins. 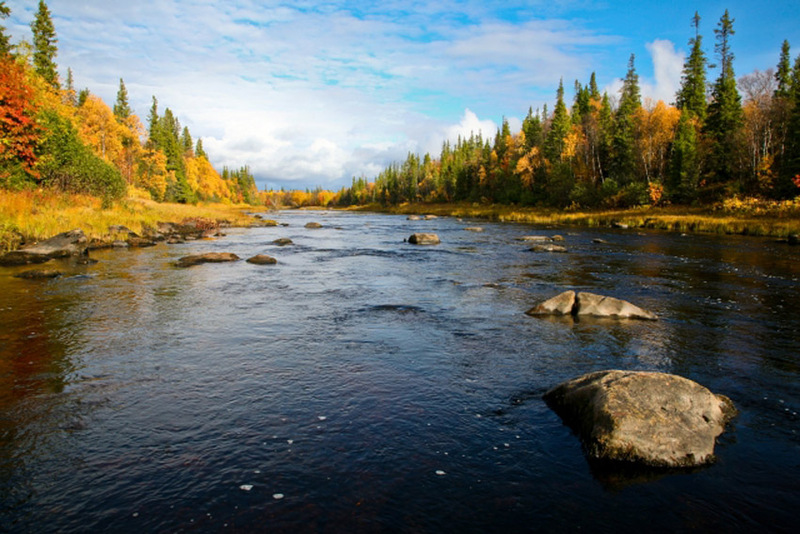 Spawning of a salmon can begin from first week of September depending on water temperature and proceed to the middle of October. So was this year, at water temperature in 6-7 degrees spawning has begun. Places for spawning met already between the first falls. Large resident black males on distance of 300 metres from estuary have been noticed. 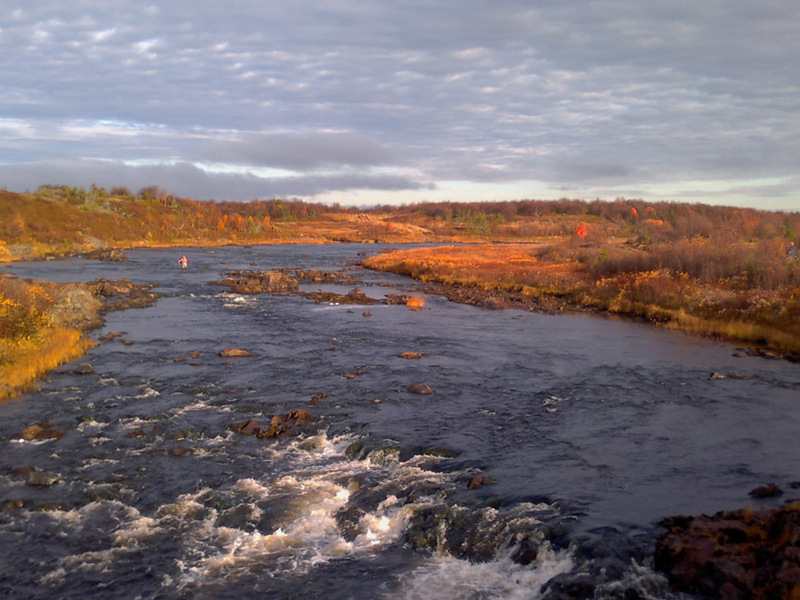 The abundance of smalts in the summer and set of fish on spawning areas testifies a good condition of the river. It gives hope on good fishing next years. 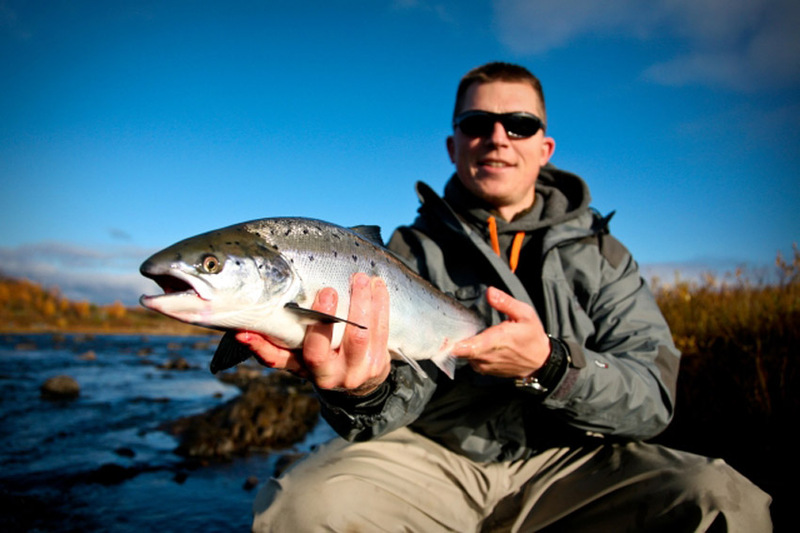 Autumn fish differs special force and speed. Its body is much thicker and stronger than at fishes, which we catch in the spring and in the summer. 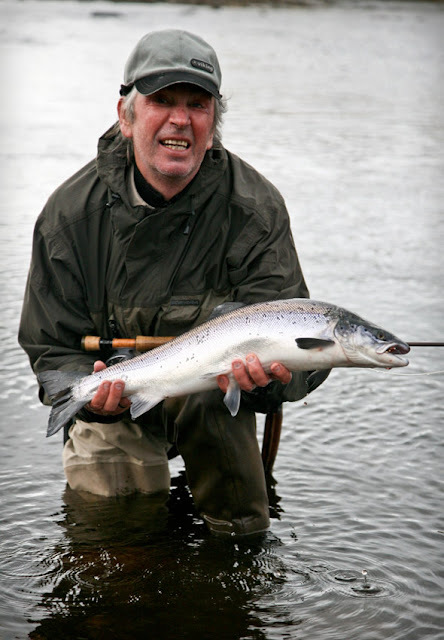 The particular interest is represented by struggle against a large salmon on small water. 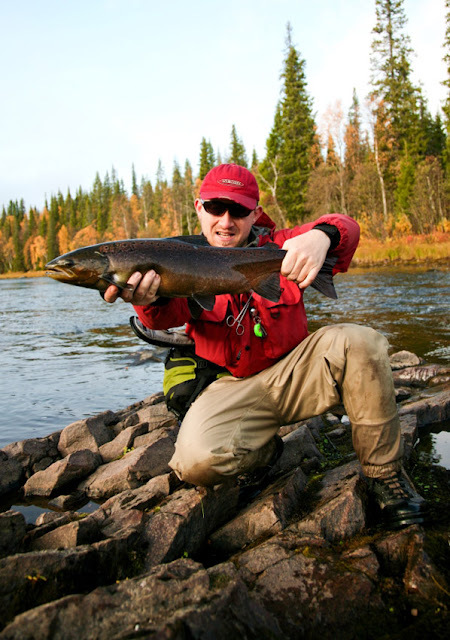 Fish has a number of advantages in struggle among stones and rocks . 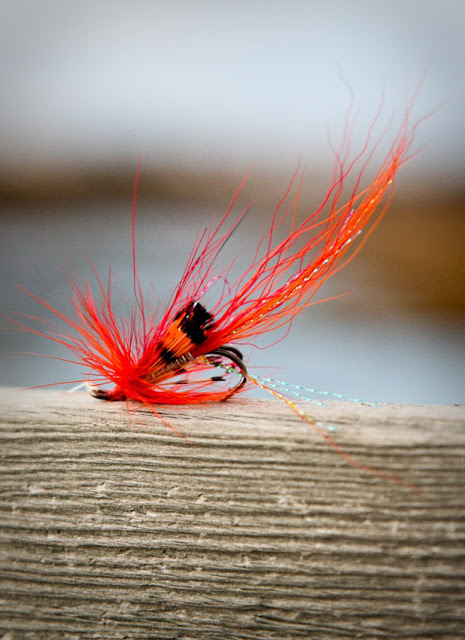 Despite powerful tackle, it manages to leave for stones and to tear off a tippet. All largest salmons of last seasons have been lost in the autumn in the conditions of a low water level. From the middle of September fresh siver sea salmons began to come across. The water level remained still unusually low. Therefore fish came into the river small parties and behaved carefully. It accumulated on reaches under falls, often jumped out of water on stony thresholds. Fish reacted to flies carefully, often ignored bright and large flies. The best were Willy Gun, Сascade, Сascade machine, Сascada green on small hooks number 8-10. Most resultive there were not places of a congestion of fishes under falls, but small holes on fast sites of the river. Here fish stopped and behaved aggressively. Fishing on the limited space, among stones and rocks demands especially accurate presentation of a fly. It is necessary to give special attention to change of variants of presentation of a bait. It is impossible to use not only cross-section casts with fly movement across and downstream. 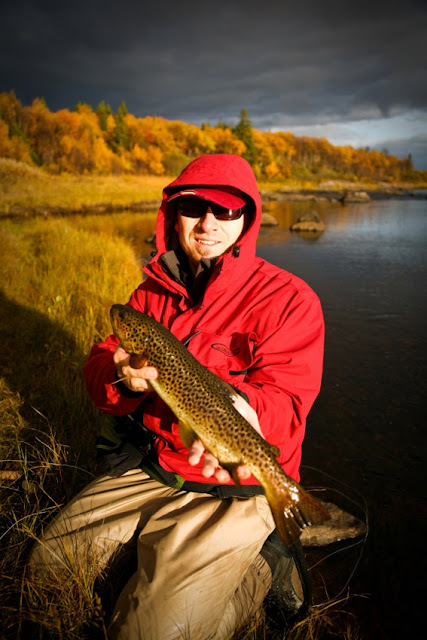 Short casts were productive with a fly stop in a place where parking of fish is supposed. 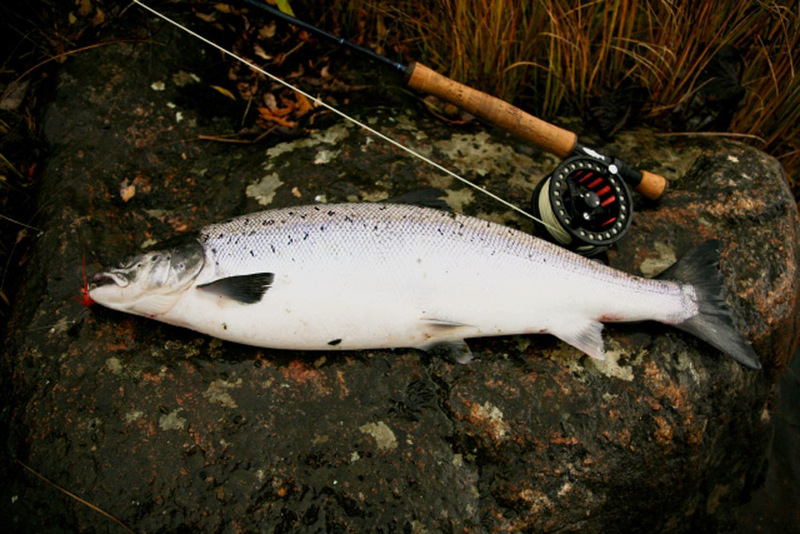 Slow drift of a fly on a current in a direction of parking of a salmon was productive too . Different kinds of mendings were applied. In the conditions of a low water level it was necessary technique.